When it comes to climate change, we’re already in the hot seat. Reservoirs are shrinking, river flows trickling, and snowpack disappearing across much of the Southwest. Climate change projections only show the trend of hotter and drier days continuing. 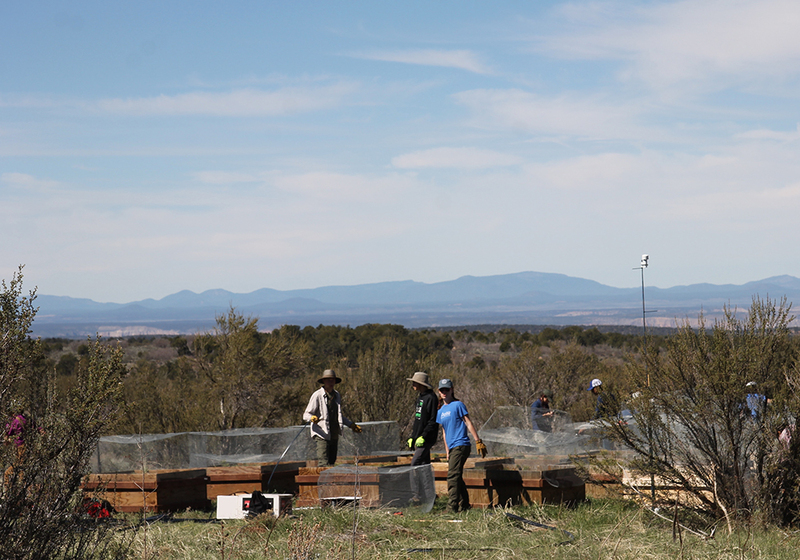 But rather than bemoan our crispy future, we’re working to understand how climate change is affecting the plants, animals, and resources we love and rely on, as well as find ways to help our Colorado Plateau ecosystems adapt to new climate realities. Climate change is happening. 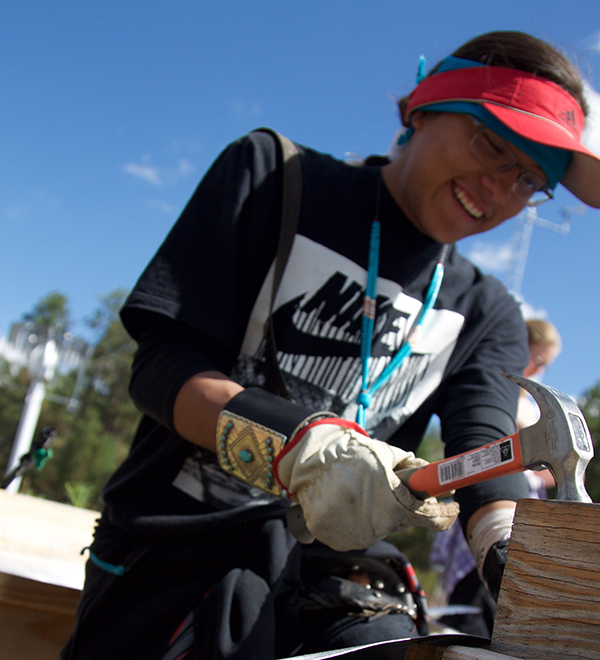 We're figuring out how we can help nature adapt. 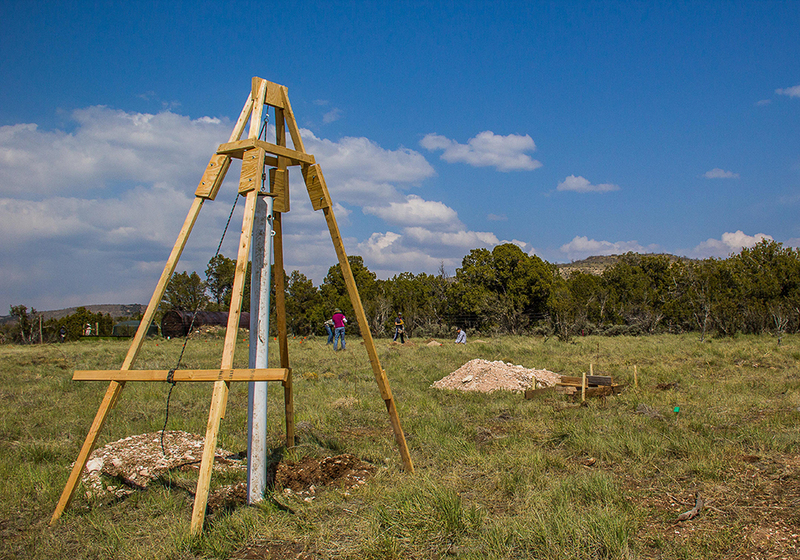 The Southwest Experimental Garden Array (SEGA) is a tool that helps us study how plants will respond to climate change. 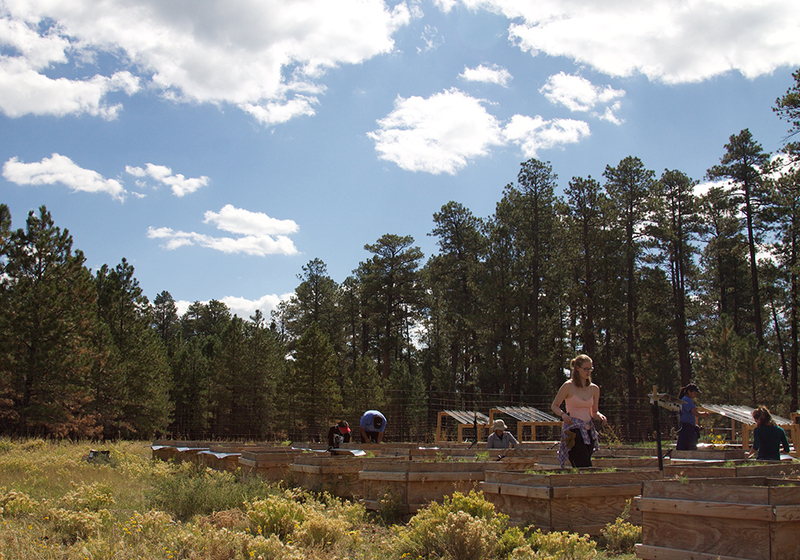 We do this with different garden plots, planted at different elevations across northern Arizona. 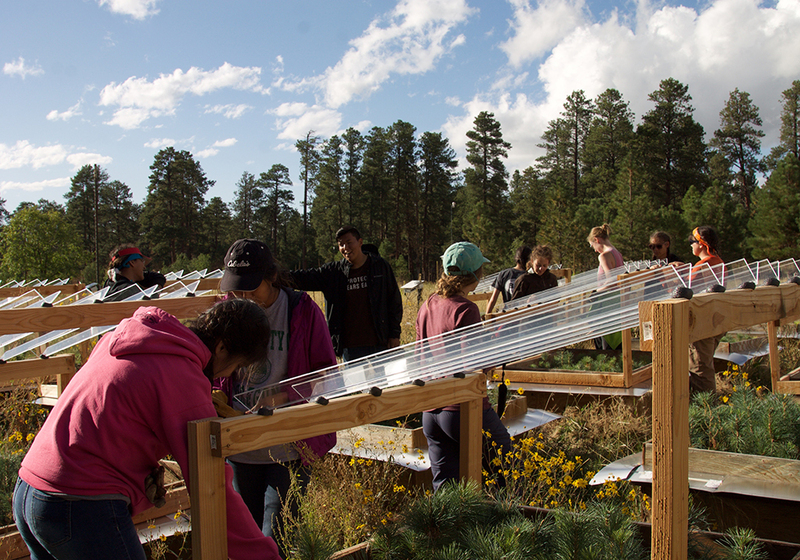 The Trust works with Northern Arizona University researchers and graduate students at four of the 10 gardens, which are spread out across the North Rim Ranches. What's planted in the gardens? 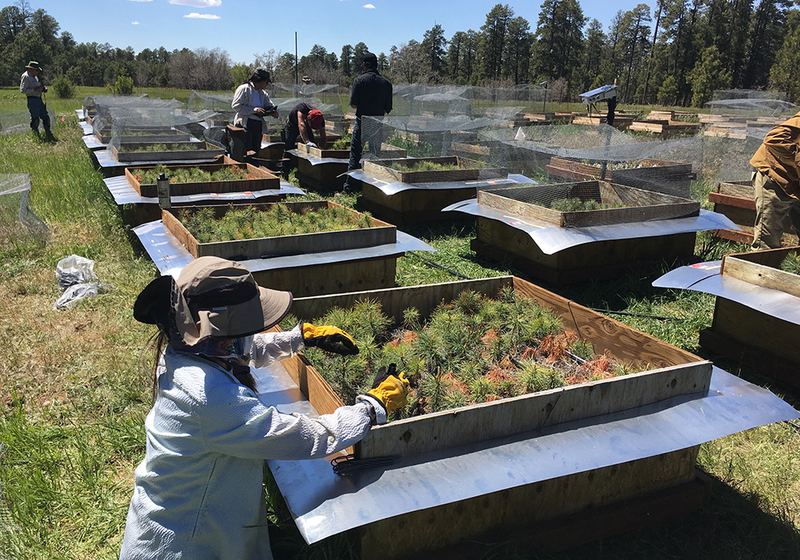 We're studying different subspecies of Southwest white pine at each of our four garden sites. 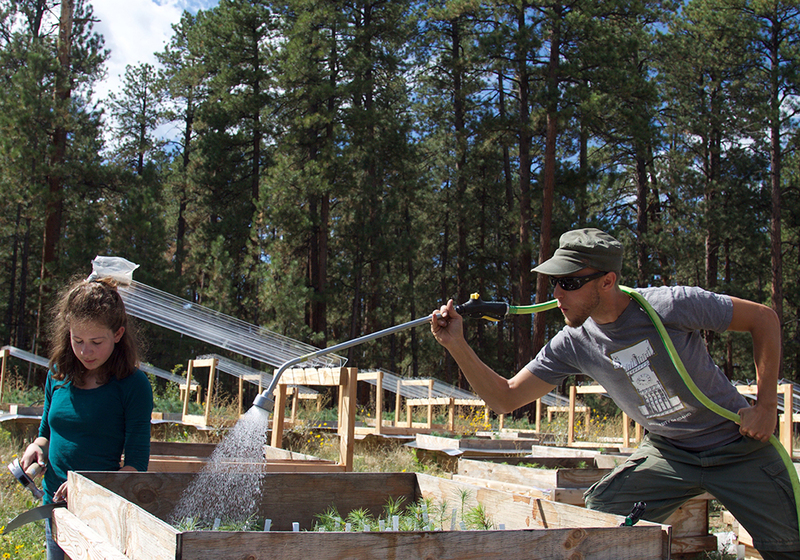 Our gardens, which range from 4,000 feet in House Rock Valley, to 8,000 feet on the north rim of the Grand Canyon, naturally simulate climate change. The lower the elevation, the warmer the temperatures. 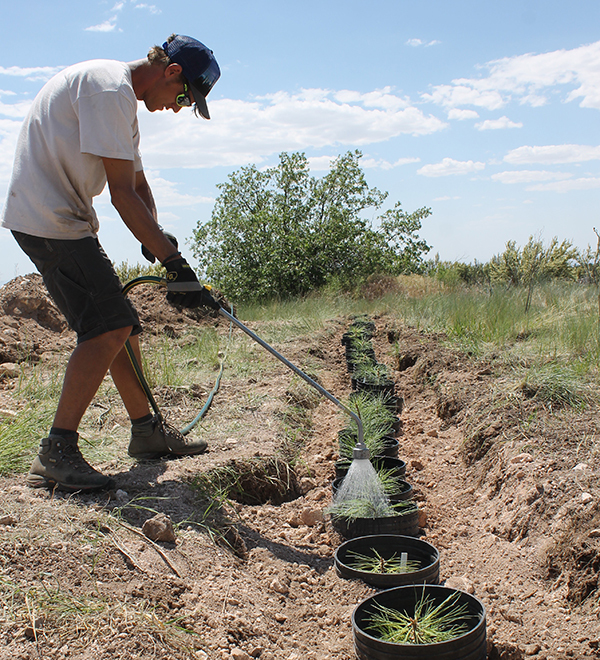 So far, researchers have found that even though more seedlings die at lower elevations, the ones that survive adapt to warmer temperatures by using water more efficiently. We are collecting data on the seedlings' growth, noting new shoots, buds, and general health. This information will help us determine which subspecies do the best in hotter and drier conditions. Why does climate change research matter? Climate change is happening now, and we have to adapt. Humans have a leg up on adapting to climage change by being able to quickly move or change. But animals and plants need time, and may also need our help. 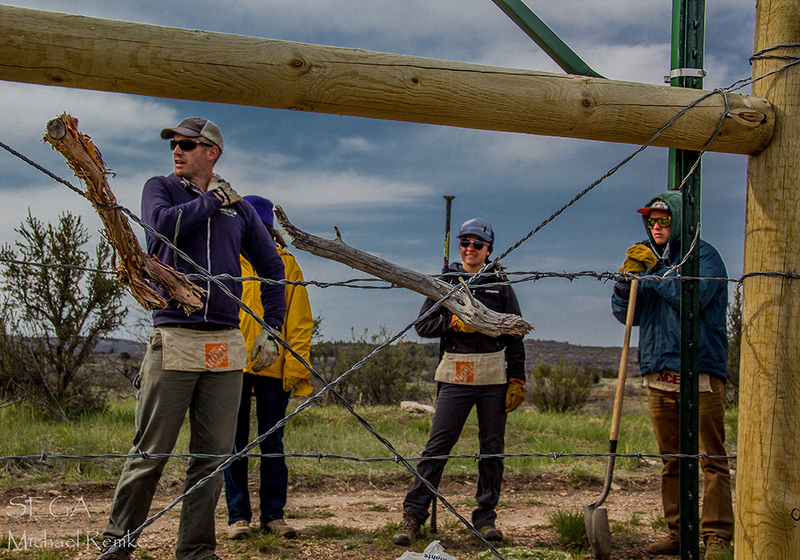 We can use the lessons we learn from the Southwest Experimental Garden Array to build more resilient forests. 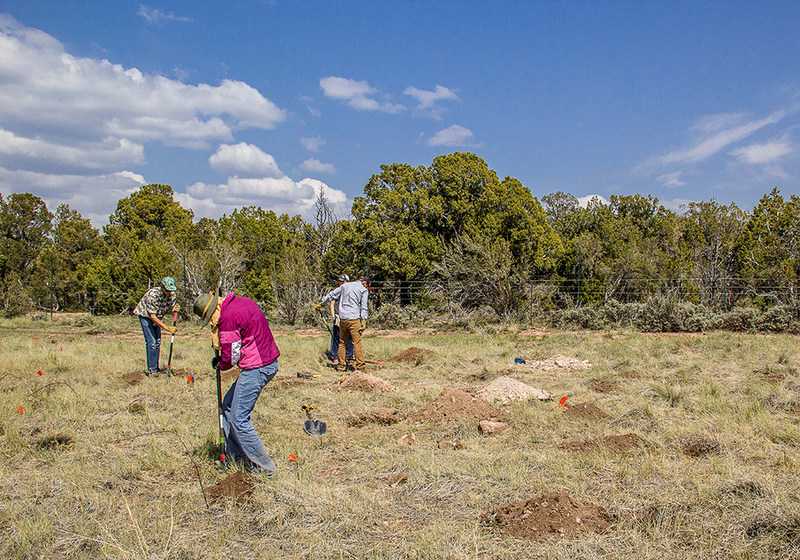 As fires, drought, and diseases intensify on the Colorado Plateau, we can plant species we know will thrive in the changing conditions.